James E. Moss, son of Newton Mounce and Bertha Murphy Moss was born May 27, 1939 at home in Kenmore, OH. He attended Kenmore High School. 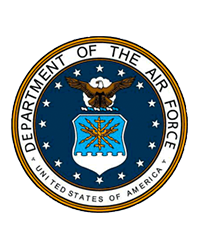 Jim joined the Air Force in 1956 and served until 1960. He worked in sales for many years and liked to play pool, golf and drive his pontoon boat on the Portage Lakes. Jim enjoyed taking trips to Las Vegas with his wife, Betty. He was a member of Firestone VFW 3383 and was also a member of the FOP. Jim is survived by his wife of 55 years, Betty Knauss Moss; daughter, Teri (Mike) O’Connor; grandchildren, Cory (Dr. Kelsey) O’Connor; Brianna (Sam) Hayes and Alicia O’Connor; great-grandchild, Clark; sister, Lillian (William) Blackburn; many nieces and nephews; great nieces and nephews; and sister-in-law, Sue Moss McDermott. Jim was preceded in death by his brothers, Harold, Jack (Lavonne), Larry, and Gary (Carol); sisters, Helen (Dr. Samuel) Forester, Mary (Harry) Crowder, Doris (Dean) Seese, and Jolene (James) Woodlee; and a niece and 5 nephews. 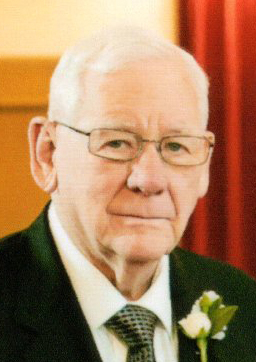 Friends may call at Bacher Funeral Home, 3250 Greenwich Rd., Norton, on Friday, April 12, 2019 from 4 to 7 p.m., where a funeral service will be held on Saturday, April 13, 2019 beginning at 10 a.m. Rev. Gary Smith officiating. Interment will be held at Greenlawn Memorial Park with military honors by Firestone VFW Post 3383.